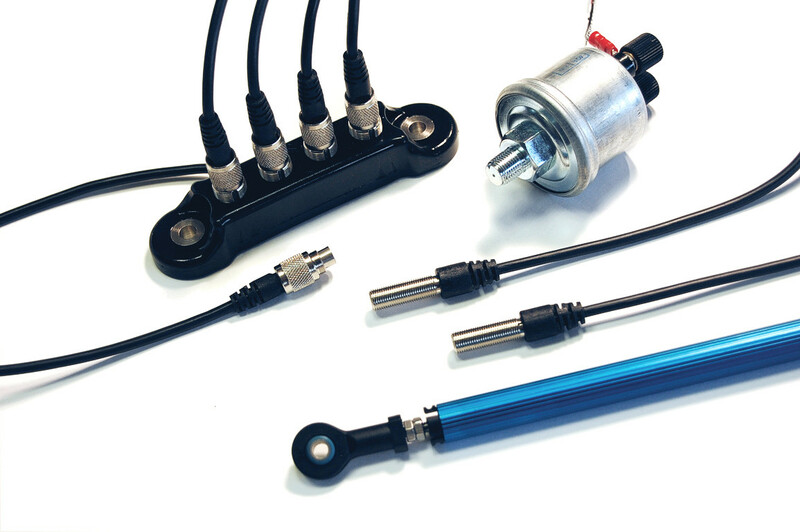 Along with versatile and cost-effective data acquisition systems, AIM offers several accessory items - sensors, data expansion, memory, cameras, just to name a few. CONTACT US to find out what accessories would best fit your application. 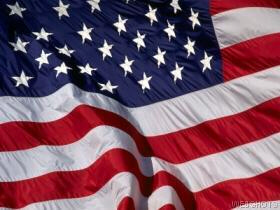 CLICK an accessory for information. 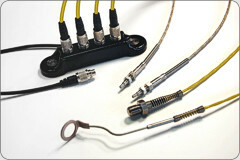 Black Diamond, an exclusive line of sensors, are custom-fabricated, calibrated, and tested by Precision AutoResearch. 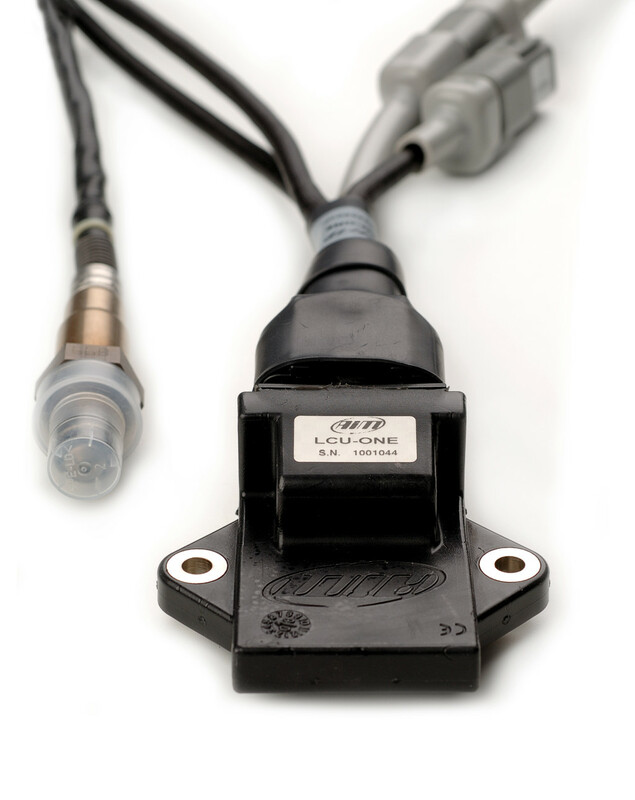 We offer sensors specifically designed for your engine, chassis and driver. (AIM compatible) Click the Black Diamond logo to view our full line of sensors. TC Hub is the new thermocouple multiplexer. Each hub allows the user to connect, via CAN bus, four additional 3-pin thermocouples to the EVO3 Pro, EVO4, or MXL data system. Users can keep exhaust gas temperature of each cylinder in addition to water, oil, and head temperatures. Plugging into the Data Hub, Channel Expander is the new channels multiplexor that, thanks to the CAN bus, allows the user to increase the data logger performance, supplying four additional channels -- four analog inputs, two of which are configurable as digital. Like the TC Hub, this unit is compatible with the EVO3 Pro, EVO4, and MXL. Data Hub is the new CAN multiplexer that serves as an interface between a data logger and its peripheral components. Each Data Hub connects four peripherals and, users can use more than one Data Hub in a series to have all the connections needed. Available with two or four 5-pin ports. An extremely useful option of AIM data loggers (EVO3, EVO4, MXL). It allows an immediate memorization of data sampled during test or race sessions. 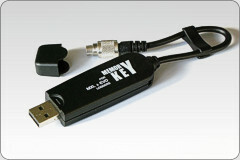 Simply remove the Key from the logger and connect it to your PC for downloading. GPS Module samples track data together with speed and position (including driver's errors). 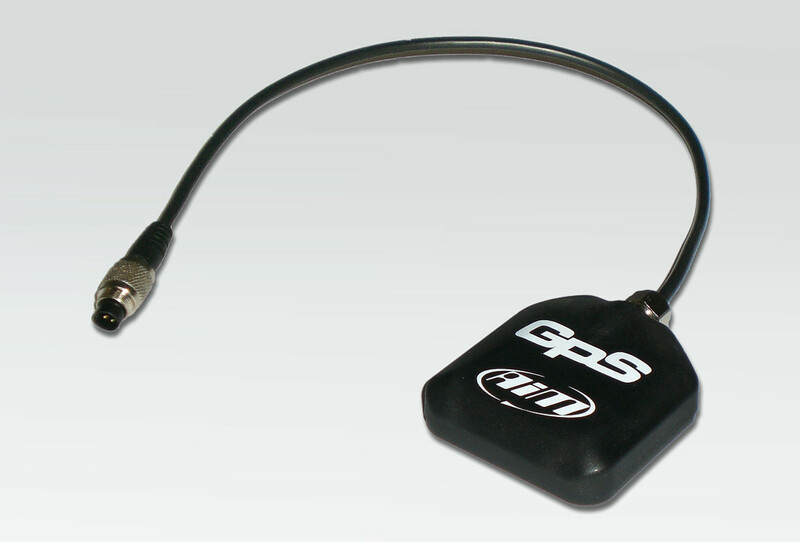 Connected to MXL, the GPS Module allows users to study the track map, monitoring your position and speed, and provides automatic lap times without using a beacon. Info exportable to "Google Earth �." 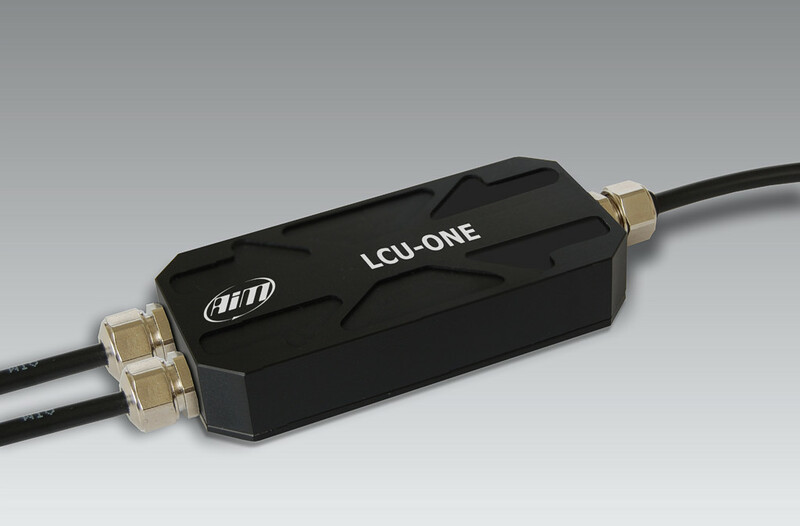 LCU-ONE CAN is a Lambda controller that uses a CAN bus and is easy to install. CAN connection, User-defined stoichiometric point, Lambda value and Air / Fuel ratio, Lambda probe temperature and diagnosis, Compact size. New aluminum chassis makes it durable and waterproof. LCU-ONE ANALOG is a Lambda controller that uses a serial line for programming and an analog output proportional to lambda value. 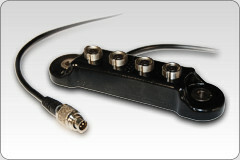 As does the LCU-ONE CAN, the LCU-ONE ANALOG switches on/off together with the logger. Configurable: user-defined stoichiometric point; Lambda value or Air / Fuel ratio; Compact size; Custom voltage output and diagnostic values; aluminum chassis, making it durable and waterproof. LCU-ONE CAN + ANALOG is a Lambda controller that is equipped with both CAN bus and analog output. CAN connection and fully configurable analog output; Lambda value and Air / Fuel ratio; Lamda probe temperature and diagnosis; User-defined stoichiometric point. 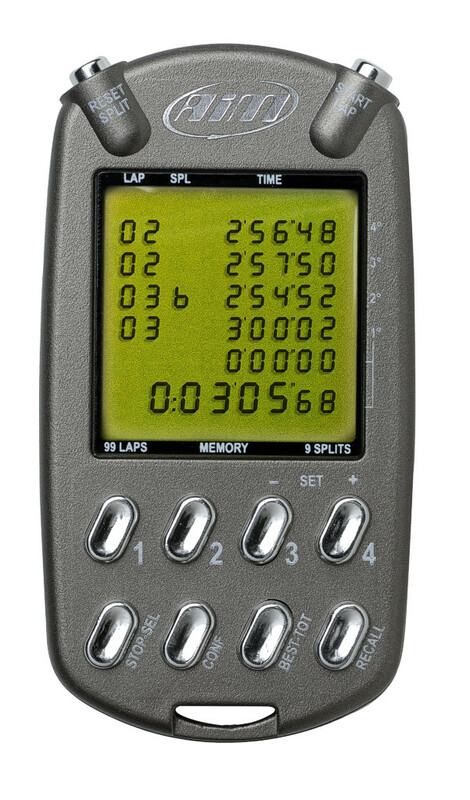 A versatile hand-held stopwatch / digital lap timer that tracks up to 4 racers simultaneously, and up to 9 splits per racer, per lap. The generous memory allows the user to quickly scroll through all laps for review -- up to 99 laps per driver! Rugged, attractive case and bright display. Available in Blue translucent, Yellow, Titanium, Red and Black. 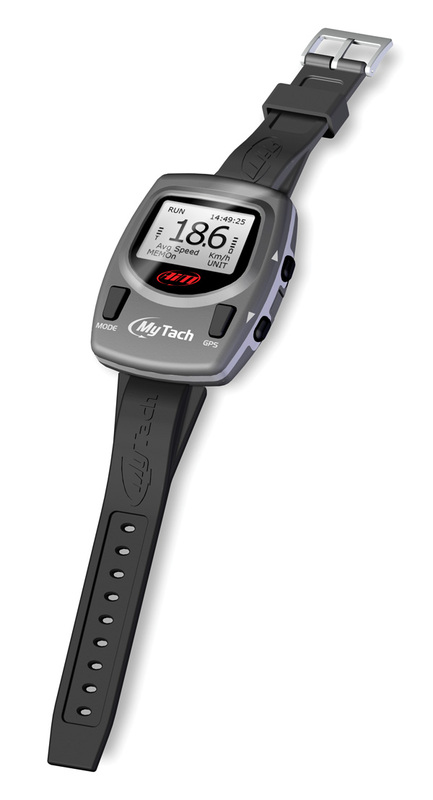 MyTach is a personal training tool that supplies information like speed, run distance and lap time. Thanks to its integrated GPS receiver these and many other data are sampled with no need of additional sensors. 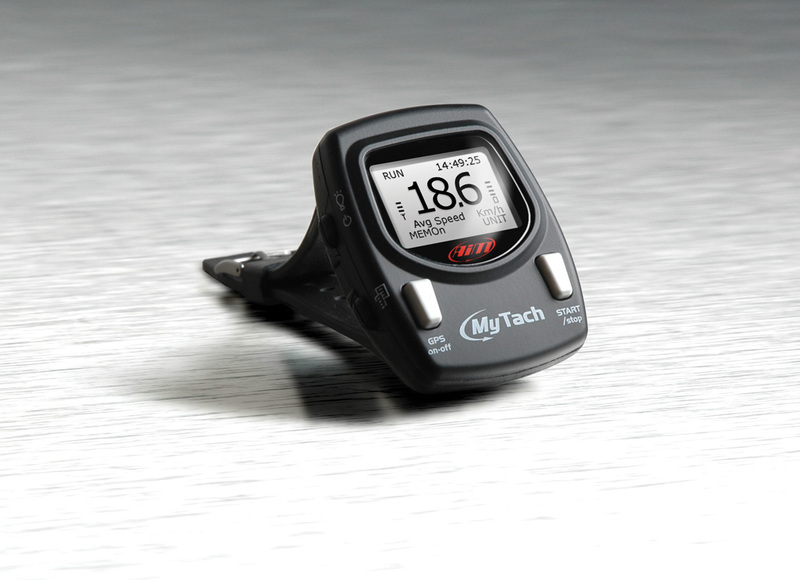 With MyTach it is possible to record data concerning the sport performances and download them on a PC, where they can be analyzed with the specific software, freely downloadable from this website. Moreover, thanks to Google Earth � it is possible to accurately map routes through real images.